Punta Cana, Capcana Marina Waterfront Condo, A second home to enjoy! 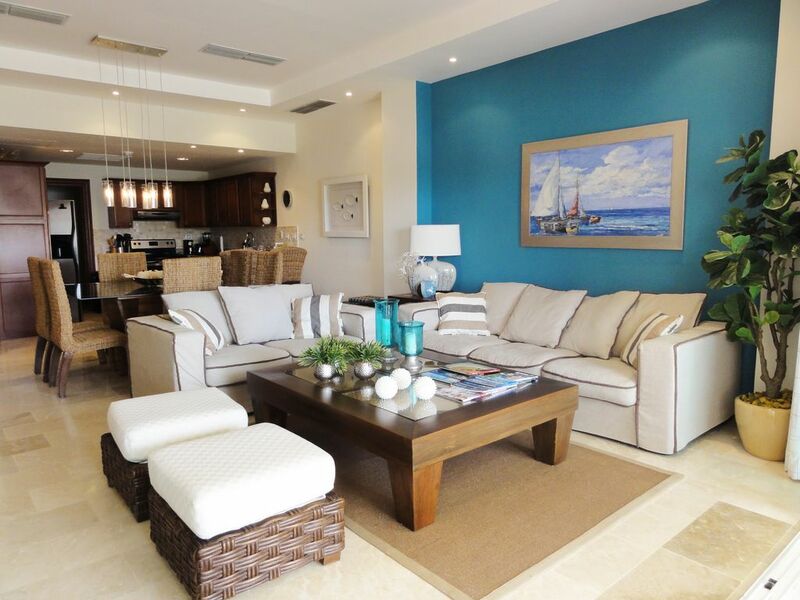 Elegant apartment located in the Marina of Cap Cana, with a breathtaking view of the marina berths. A few steps away you can enjoy the commercial area of the Marina where there are restaurants with the highest culinary standards in the Punta Cana Area. Total rest and relaxation. Guaranteed!!!! AQUAMARINA has its own concierge service with Coral Hospitality providing full back up service of all that you may require while on holiday. You will find the staff speak good English and can help you with leisure activities, night life, supermarkets, hospital and medical care etc. Relax on the Terrace with a cocktail watching the fishing boats go by. 24 hours Concierge service- Two Pools. More than three miles of white powder sandy beaches- The biggest inland marina of the Caribbean- Fine gourmet restaurants within walking distance: Cappuccino, Club Acqua Mare, Il Vaporetto. Elegant boutiques at the Marina- Low Cost shuttle service to the golf course, beach club, hotel, casino. restaurants- World class PGA golf course, Punta Espada. (Jack Nicklaus' Signature Golf Courses)- Spa- Luxury 5 Stars Hotels- Beach Clubs- Fully equipped Gym- Golf car rental- Tennis- Each building complex has: Private lobby , Covered parking, Elevator. Also available in Cap Cana: Marina, Luxury Charters, Angling Charters, Sunset Tours, Fishing Tournament. Beach, Scuba diving, Hobie cat, Kayak, Windsurf, Sunfish -Tennis Courts. In Caleton Beach Club, you and your family will experience a new way to enjoy the beauty and peace of the breathtaking Caleton Beach, blessed with a unique white sand, turquoise waters and tropical palms trees. The Club house is a enchanting location with outstanding facilities that include: swimming pool, spa, The Caleton Grill, The Palapa Restaurant, private meeting rooms, play ground for kids, logo shop, beach area with stunning views to the Golf Course, the enchanting villas and bungalows that?s surrounded it and an unparalleled service with no boundaries. Covered Parking: underground, indoor parking space, Parking for RV/Boat/Trailer: Optional boat slip in front at marina, Oceanfront: View at the Marina, perfect for drinks and meals, Water View: Marina Activity. Free Shuttle available for transport within Cap Cana, Golf course, beach club, Secrets Sanctuary, Scape 2 Cap Cana, Las Canas, Marina.